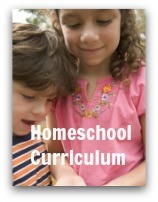 Advertise your Homeschool Curriculum Here. 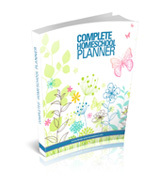 This page is designed for those who wish to have their homeschool curriculum reviewed and displayed on this site. As homeschooling parents, we spend a great deal of our time researching and deciding what curriculum may suit our family. I am giving you the opportunity as an Author, Homeschool Curriculum Provider or distributor of other educational products to promote your material on my site. Is a way for your potential customers to reach your website in one click! Many homeschooling families naturally bump into my website (since it is rich in content focussed keywords) as they look for their homeschool questions to be answered. 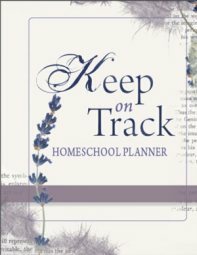 In doing so, they find a wealth of answers, homeschool curriculum reviews, suggestions and homeschool resources which may be useful to them on their educational journey. 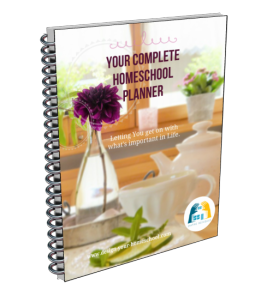 This is an ideal opportunity for those who develop homeschool curriculum and other appropriate resources and online educational material to advertise and describe the product's usefulness. What is the best way to advertise my Homeschool Curriculum? Homeschooling is all about providing an excellent education and learning environment for children in our families. Homeschooling parents and educators are interested in a wide range of products which are well developed and show a scope of use across different age levels and learning styles. The best way to advertise an educational product is to explain it to an audience. Homeschoolers are eager to know how an educational product can be used and how it can benefit them in their home. They are looking for homeschool curriculum reviews and descriptions. On my site, you can add a Curriculum Description as a unique content page which will be promoted and linked in from a Hub Page (Look at the Subject areas which contain the sitemaps). You can also choose to add an Image Ad Unit on some of the pages which link from the "Hub" page. A "Hub" or "Tier 2" Sitemap is a page which links to 10-12 other content related pages. My readers will love hearing from you, the "Author!" as you whet their appetite and describe how your product can be used in a homeschool environment. Will remain as a permanent page (according to your pay schedule) linking from home-school-curriculum-reviews.html AND a text link from the Subject or Approach Sitemap of your choice. Will be optimized for the search engines with heading tags, keywords, link tags and so on. Add an image advertisement (125X125) to the right side column. This image ad will be displayed on some of the pages connected to the Tier 2 page (which is a Hub or Sitemap page) of your choosing. For example, if your resource can be used in History, your image advertisement will be displayed on the History Sitemap and all homeschool plannerthe pages which come from the site-map, including the Homeschool Resources pages. Another option for advertising is to add a text link into the context of my pages. If you are interested in a text link, please provide details of the link, the wording and placement of the link in the contact form below. If you are interested to find out more about advertising opportunities on design-your-homeschool, please fill in the contact box below and enter in your details. I will contact you shortly with cost related to your advertising choice. You will then be directed to another webpage where you can enter your curriculum description via forms. I am excited to discuss whatever you need to know in order to make your advertising decision a smart choice for your own business endeavours. I am interested in advertising on this website. I would like to add an image/banner. I would like to add a text link. I would like to add a product description. Please note that inclusion on this website will be entirely based on the webmaster's discretion. 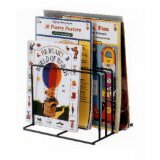 The readers will also be given the opportunity to add their own comments and provide homeschool curriculum reviews of your products for the further benefit of other home educators. Thankyou. I will reply to this email as soon as I can.